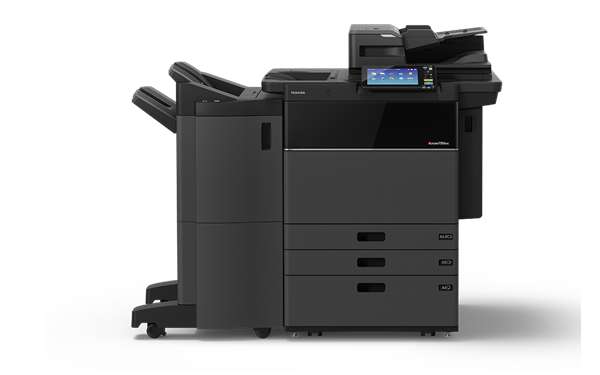 The e-STUDIO7508A is a high volume MFD. 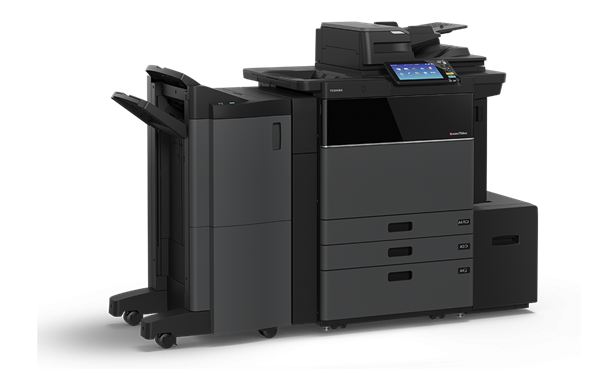 It delivers exceptional quality and high volume performance, with enhanced workflow and mobile document print and capture integration. 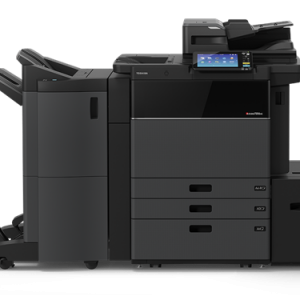 Intuitive operation installs user confidence and maximises productivity, whilst large paper handling capacities and reliability deliver customer confidence and efficiencies. 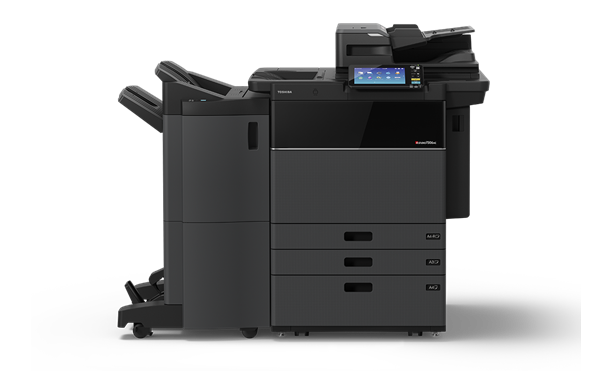 Extensive finishing options, enhanced data security and a cost efficiency ensures this series delivers on all levels. 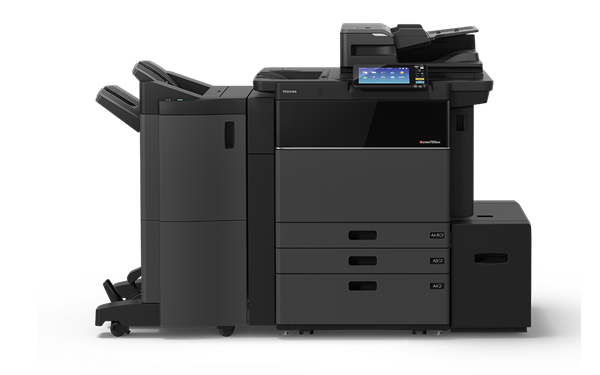 Fast Dual-Scan Document Feeder handles up to 300 sheets at a time and seamlessly scans both sides of each page in a single pass to produce a full 240 images per minute (IPM). 9” Tablet-Style Touch Screen works intuitively, helping you access instructions, functions, and commands with the swipe of the finger. Limitless Job Reservation will queue up multiple copy or print jobs so users can send jobs whenever. 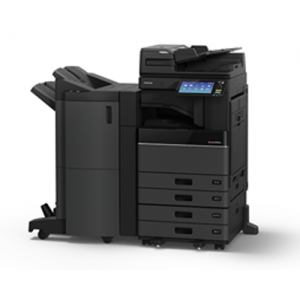 Scan-to and Print-from USB lets you print straight from your USB drive or scan documents to it. 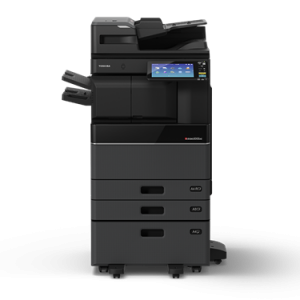 Advanced e-BRIDGE Next Technology enables the MFP to drive Toshiba’s internally developed embedded solutions or those from a third party with ease. Notifications Feature takes the hassle out of checking for depleted supplies or maintenance needs. Paper Volume Indicators on the front panel make it easy to see the paper sizes, types and levels in each cassette.